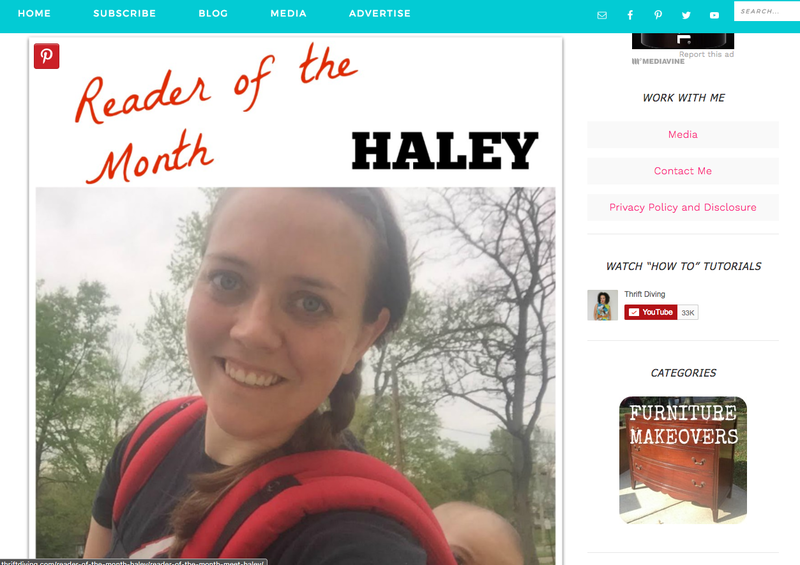 Golden Skies: ThriftDiving Reader of the Month! This month, I was selected as ThriftDiving's reader of the month. I've loved following along the last couple years as Serena became a full time blogger. She does an awesome job of teaching me something new in each post and her tutorials are thorough, full of information, and easy to understand. I love that I can go to ThriftDiving and always find unique projects and ideas. 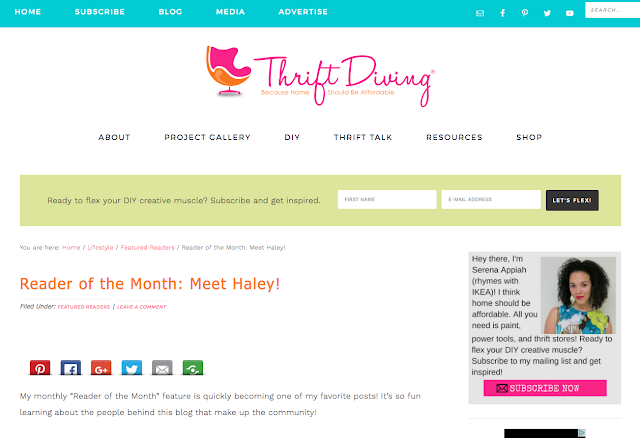 So if you don't already follow ThriftDiving, head over to Serena's blog and check it out. If you're coming over from ThriftDiving... Welcome! I love to share updates on our house projects, quilts, random DIYs, the occasional recipe, and lots and lots of day-to-day pictures of my family and our adventures. See our 'before' house tour here. In the last month or two I've shared some progress pictures of each room. (Kitchen, Dining room, Living room, girl's bedroom, our master bedroom, and the exterior). I participated in Serena's 30 day challenge with the girl's bedroom and our master and I have loved the extra push to get things done... There is even a great Facebook group for challenge participants and I've gotten some great feedback and tips for projects I'm working on.